Way back when, at one of our quail team meetings, a member of our distinguished crew mentioned, “We’ve been using these same quail photos forever. We need to get some new ones.” Admittedly, nearly two decades had passed since our former quail team gathered some pen-raised quail and did our best to get some “realistic” field photos of bobwhites. “No problem,” I said. “I’ll get us some pen-raised birds and we’ll see what we can do.” I then sent a note to some of my DGIF friends who edit our magazine and direct art for the agency. I queried “Would you all be interested in working with us to get some new quail pics?” The reply was quick “Sure, we’d love to.” All set, I thought. Nothing to this! We have some of the finest photographers in the world working with us. All I have to do is get some quail. But many of my ideas don’t quite pan out to be as simple as I envision them. 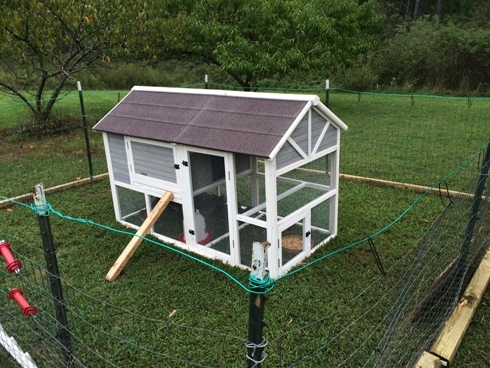 I won’t bore you with every detail, but here are some snapshots of the struggle to get some nice pen-raised quail and properly house them and then get them to the photo shoot: the purchase and assembly (not in the1-hour suggested on the box, which failed to mention metal fabricating skills would be needed) of a nice chicken coop modified for quail (using personal funds – not license dollars); a 5:30 a.m. departure on the delivery date to meet a very generous supporter two and a half hours east in King and Queen County to pick up 26 high quality quail he donated to our cause; the realization that getting these pen-raised quail out of the chicken coop was not going to be nearly as easy as getting them in; the near-dark dash to secure the quail coop in the face of a tornado and hail warning (forgetting about the house I live in and more worried about the quail); the comedic capture of the fine feathered bobwhites using a long-handled trout fishing net; and, once in the field, multiple attempts to get them to pose for photos – which they are not of a mindset to do. There is still a good bit of wild left in these pen-raised pompadours. My hat is off to the patience exhibited by our professional photographer friends. They did capture some good pics, but I think we all realized the best way to get real wild quail photos would be to find a place with a lot of them, set up blinds, perhaps do some baiting, and plan on spending days in the field. Those places are few and far between north of South Georgia. In the course of all this I realized something else. I have been too far removed from the animal I work so hard to try to help recover. I had lost my own personal fascination with the quail itself and had forgotten how much charisma these birds have. My life has become about workshops, field tours, meetings, pamphlets and giving talks. How long had it been since I held in my own hands a living quail? My daughter had the answer. She is 11, and upon seeing these cool puffs of feathers said “Wow! They’re neat! I have never seen one before up so close.” She marveled at the soft sounds they make among themselves, as did I, having forgotten many of them myself. She is helping me take care of them. The pen-raised bobwhite is much maligned by some, especially those of us who are biologists. But I have to think that as wild bobwhites become more difficult to find and see, these pen-raised quail have a role to play in quail recovery. It’s hard to appreciate an animal that you never see. We can debate the pros and cons of stocking pen-raised quail all day, but I think they have a valid place in education. Trout Unlimited™ has a fantastic program called “Trout in the Classroom©” where they expose young people to living trout. I see this as a role the quail non-governmental organizations could play in quail recovery. Maybe by becoming interested in the quail as an individual, a young person may be inspired to create habitat for them someday. I know I have seen the spark of life-long interest ignited in the eyes of many kids who attend wildlife educational events featuring live animals they can see and touch. I also see the long tradition of quail hunting and bird dog training slipping away from a land where 50 years ago a person could never have imagined it. To help keep the tradition of quail hunting alive, an increasing number of quail hunters who own land are incorporating fall pre-season release of high quality pen-raised quail into their management system. This also helps keep alive the “drive to hunt” lifeblood in dog lines for future generations. 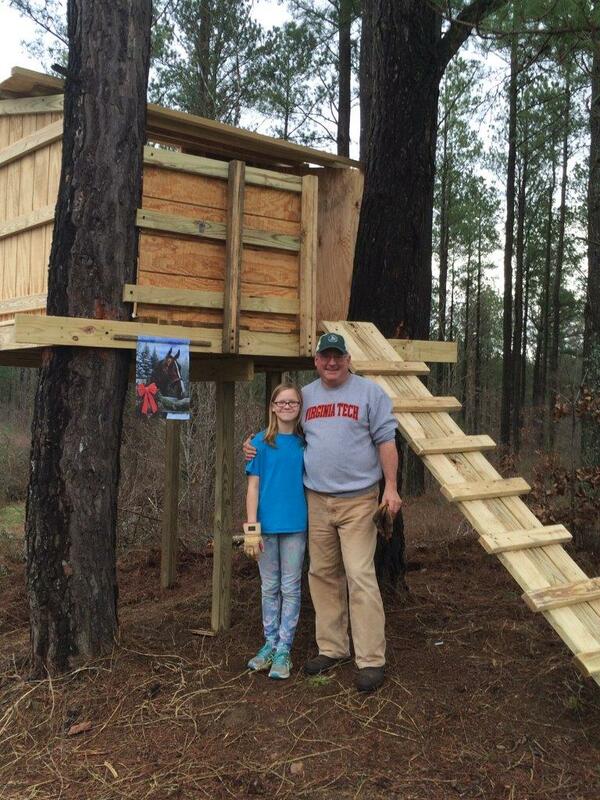 It can also provide a realistic experience for grandsons and granddaughters that may not be able to take a trip out West, or have access to good wild quail lands here. I’m not advocating the establishment of state run game bird stocking programs. The programs are enormously expensive and consume staff and time. And I still do not believe stocking pen-raised quail will bring back wild bobwhites. But I am saying that landowners who really want to create great habitat first – because that is what it takes — and then use some stocked quail to supplement their sport and help keep it alive are not doing any harm, as long as they use well tested, disease-free, pen-raised quail. And they may be helping develop the wild quail managers and bird hunters of the future. Some may ask “Who cares if bird hunting dies out?” But for those of us who have lived this life that is like saying “Who cares if baseball dies out as our national pastime?” On my end, I plan to keep trying to help wild quail, native bees, butterflies and songbirds come back through habitat creation and management. It is the long-term key, but having a helping hand to keep traditions alive from a few charismatic captive-raised quail can’t hurt. And I know when I talk about quail now with my daughter she appreciates them much more now than before she saw one alive and up close. Many things go into an animal’s survival and nutrition is huge. But as you will see, like with humans, quail nutrition goes beyond calories alone. As biologists we have our share of inside jokes. One revolves around a seemingly long-held belief among some deer hunters that deer can feed on acorns year around. And that as long as you have an oak forest, the deer will be fine (try telling that to a deer in west Texas). The same is true for quail hunters. Many seem to believe that as long as you plant some lespedeza for them, things will be fine (try telling that to the quail that were around well before the lespedeza was). These long-held assumptions could not be further from the truth. One of the first rules of providing for animals is that you have to consider all their life stages and all seasons of the year. Let’s begin this “lesson” with a simple chart on some common seeds and the calories they provide. A note on calories – on a cold winter’s day, meaning below freezing, a quail needs about 60 calories (kilocalories for those perfectionists) to sustain itself. To put that in perspective, think of a pack of “Nabs” – six to a pack, a pack being about 280 calories, meaning each Nab has about 47 calories. That should give you some perspective on the size of a food item with about 50 to 60 calories. This chart reveals several things. One is that there are a lot of small seeds in an ounce. This also means that just because we find a quail’s crop stuffed with a particular seed it does not mean it is their favorite food. In fact, it may mean it is about all they can find. Another is that some native seeds have as many or more calories than crop plants. Witness ragweed at 110 calories per ounce. Taking this a bit further, to make 60 calories a quail would need to eat 41 whole corn grains, or 103 soybeans, or 670 milo seeds, or 1160 sunflower seeds, or 3,605 partridge pea seeds, or 27,690 switch grass seeds. Taken on the surface, one can see where the “food plot” mentality came from. After all, if a quail can get its fill off 41 grains of corn, all we need to do for quail is plant corn plots, right? Dr. Guthery referred to this as “the Thanksgiving Syndrome.” The human fixation on food led many well-meaning people in the early decades of quail recovery to believe that all that was necessary to quail recovery were grain food plots. And many times a goodhearted landowner set aside a ½ acre “patch” back next to a mature woodland or near a hay field, of something like corn, or milo. Little islands of food popped up everywhere largely surrounded by a “sea” of useless cover for quail. And folks were mystified as to why “the quail never came back.” I am not knocking food plots. They have a place, for deer, for quail, for many things, but they have to be part of an entire package that addresses food, cover, nesting areas, brood-rearing areas, and relies first and foremost on native plant diversity and abundance. Food plots, and even supplemental feeding (as studies in the deep South have shown), have to be woven into a functioning ecosystem in order to be truly beneficial. Let’s delve a little further by recognizing that fat and carbohydrates are but one aspect of nutrition. Enter the common black cricket. A rather mundane looking fellow at first glance, little would anyone know that as far as the total nutrition package – he is the “end all” for a bobwhite quail. He has, in fact, 30% more calories per ounce than corn. And as with many insects, he also contains the proteins and amino acids that are critical for feather development, egg development and many other things a quail needs beside calories. Insects average about 40% – 50% protein and contain key ingredients like methionine and cysteine without which a quail cannot persist. What a simple little quote, but it says a ton. If you desired to plant some milo strips for quail, weaving them within their thickets and weedy winter feeding areas is best. This decreases foraging effort, decreases exposure to predators and makes disturbance less likely. Just make sure that the milo strips don’t destroy the integrity of the natural cover. This quote might also make the more thoughtful hunters recognize that repeatedly hunting an area during cold weather and disturbing quail there could add to mortality beyond those killed by shot. To wrap up, quail eat a huge variety of seeds, nuts, plant parts, greens, berries, and insects. To manage for them means to provide a rich, diverse, healthy plant environment that also attracts insects and provides escape cover. Keep the simple “Thirds rule” in mind. 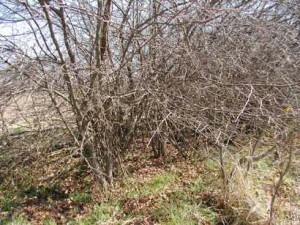 Manage for a third thickets and escape cover, a third weedy, fallow areas with a good vegetation canopy over some bare dirt like ragweed, partridge pea, beggar-weed etc. , and a third in areas a bit more grassy for nesting and night roosting. Lastly, keep this old adage in mind “One person’s trash is another person’s treasure.” That same wingstem, or stick weed (verbesina), that farmers hate so much – turns out to be a great quail food plant, and provides pretty good structure. So think before you bush-hog. Next month I promise to return to a topic that may be educational, useful and less philosophical – expressly quail nutrition and food habits. 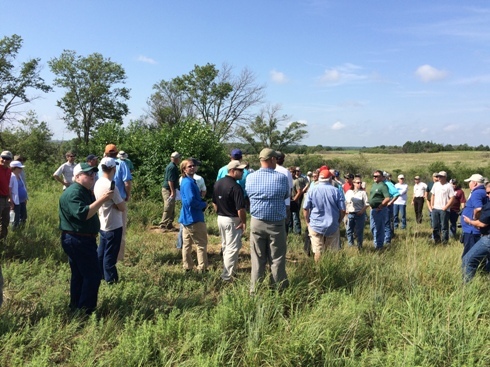 But this month, I wanted to share a few thoughts from the heartland after our recent National Bobwhite Technical Committee meeting in Lincoln, Nebraska. I have visited the “plains states” several times and I love it “out there.” Some folks refer to the heartland as the “flyover states,” insinuating there’s nothing there to interest anyone not from around there. And from 35,000 feet you see lots of squares and circles representing crop fields, and very few homes or towns. On the ground one of the first things I felt was that there’s very few places to hide from the weather … or hide from anything else for that matter. And it has created a people without pretenses. More than anywhere I have ever visited, it is a place where “what you see is what you get,” take it or leave it. I remember back in 2008 registering for a hotel one evening in Clay Center and I asked the lady behind the desk “What county are we in?” She looked at me like I was about the stupidest hunter she ever saw and said, “Why do you think they call this town Clay Center?” That’s when it hit me, most everything was surveyed in squares on the plains, and each square county had a town surveyed and laid out right at its center…hence Clay Center was at the geometric dead center of Clay County. When you are from the convoluted Southeast like me, there is something refreshing about that simplicity. And not to disparage our Nebraska friends, but some things regarding quail are just easier out there than they are here. For starters, it’s rural, and that alone makes life easier for quail and all sorts of other critters. I am talking so rural in places that on our field tour last week the tour buses just parked right in the road while we went about our guided stops. And if a car did come along, they’d just go around us (maybe one or two cars all afternoon). Next, farmland out there is everywhere – there is so much of it that it makes it easier not to farm every acre of it, and that again helps the bobwhite along with many plants and animals. Perhaps most importantly – it takes trees years and years to grow out there once any distance from a waterway. Sweetgum there is found in a pack, not growing from the ground. Red maple? Pine? Poplar? Not there. Plant succession is slow and thus the need for active management is not quite as urgent as it is here in the humid East. Another little something I noticed, non-native invasive vegetation has not had nearly as long to take hold out there as it has back here. It exists and does cause problems, but the native seedbank of plants seems to respond fairly well when given a chance. Wild plum still seems to grow on its own there, too, and I saw many a good thicket of it along roadsides, much like Kansas back in 1997 when we did not really need a bird dog to find quail. We simply hopped from plum thicket to plum thicket relying on the dogs mainly to help us chase the birds out (those quail would run around and around in circles within those thickets hating to fly out). They have their share of problems, too, and I don’t want to make it sound easy. Winters can be severe, drought can have negative effects and as the human population increases they’ll be expected to squeeze every soybean out of their farmland. But it is nice to know that given good weather, a little passive neglect and some active management with fire and cattle grazing can still produce a bunch of bobwhites somewhere in America. in the middle of that vastness and appreciate the kind of self-sufficiency and courage it takes to live there. 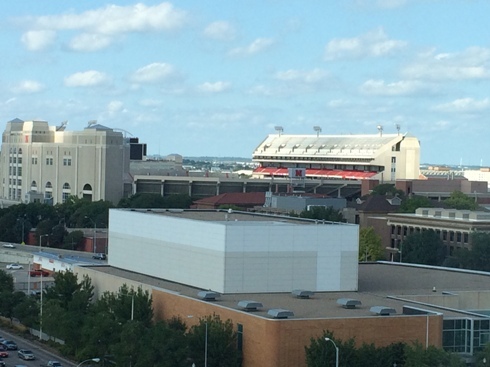 Ah, yes, and about the NBTC meeting itself…it was fantastic (Thanks Nebraska folks!). I left once again feeling like the NBCI was on the verge of great things. Their list of accomplishments over the past year is impressive. There have been doubters out there and concerns expressed about the use of Pittman-Robertson funds to support NBCI staff. The kind of work ethic and dedication I see in Nebraska fans is evident all over our great country, it is what makes us great, and I see it exemplified by the staff of the NBCI. I have been absent from the blogosphere since early June. It has been a busy summer so far. Not to mention a very troubling one with regards to some of what has transpired in our great country and around the world. I made the comment to a friend and colleague last week that I was afraid we ought to just put our American flags at half-mast and leave them there. It seems no sooner than we raise them back to full staff that another tragedy unfolds. I hope the future can return us to some sense of “normalcy,” but throughout history I am not sure that ever really existed for very long. One thing I really struggle with sometimes given all that is going on in the world is how do I continue to believe in what I am doing? Some days I suffer from an existential crisis mood. I ask myself – why should anyone care about quail? About bees? About butterflies? 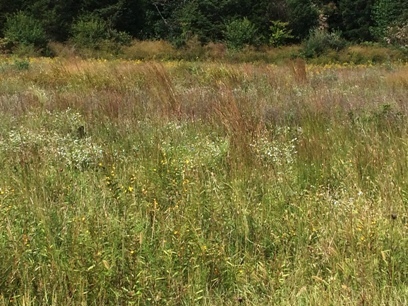 About thickets, weeds, wildflowers and native grasses? 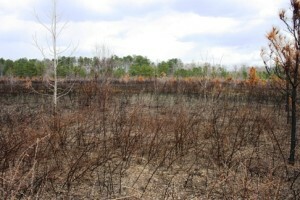 About wetlands? About forests? There has never been another species that has had as great a capacity to inflict atrocities on one another as ours. Going back as far in history as one can go, examples of the wholesale slaughter we have leveled on ourselves are limitless. But so are examples of our capacity to survive those cataclysms. It occurred to me as I thought about this that barring nuclear holocaust, we are not likely to bring about our extinction through war. As bad as things get, as horrible as times become…our species can survive those things. But what we will not survive is the continued erosion of our ecosystems, or our continued loss of what Aldo Leopold referred to as a “land ethic.” It occurred to me that it won’t be the dramatic events that bring about our demise as a species. It will be the underlying, sometimes subtle things that go on around us every day that cause the “bottom to fall out” at some point. And therein were my answers. I spent a good part of the last two weeks traveling around to various parts of our state looking at habitat projects of differing kinds. All around us was life and positivity on our site visits. Examples of landowners who, while still making income from their property, made decisions reflecting their love of the land and wildlife. 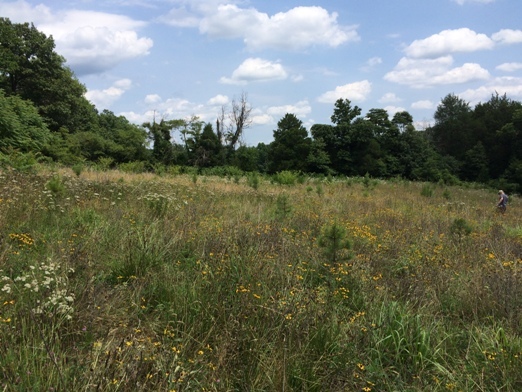 Projects ranged from reforestation of declining species of pines to incorporating wildlife considerations like reduced stocking rates and lower intensity herbicides, to a single project that incorporated hundreds of acres of native grass and pollinator plantings. These landowners counted on our professional recommendations to design and help them accomplish their projects. Many also relied on financial assistance from conservation cost-share programs. Dedicated conservation professionals helped walk them through the process. At nearly every site we heard the “bob-bob-whiiiittte!! !” call. We saw countless numbers of pollinating insects. Plant diversity was improved at all sites. The only thing that dampened our thinking was the distance between good sites at times. We simply need more landowners inclined to do conservation-minded habitat work. And that is a goal worthy of our work. Our life’s chosen calling will become increasingly critical to the continued existence of our species. Our jobs are not glamorous, we rarely work in the spotlight (good or bad), and in most cases we do not risk our lives unreasonably in our profession. But what we do matters to our future on this planet. letter writing campaign about the wholesale pillaging of the landscape. Most of these acres came from old farm land replanted to loblolly pines years ago. And they have now become a retirement fund. Keep in mind if the land does not pay in crop or timber, it’s likely to pay in house lots sold piece-by-piece. Forestry Best Management Practices were followed in the harvest and what exists now is 900 acres of brand new, one, two or three years post planting pines. In addition to that, my friend is an “old time bird hunter.” He plants most of his log decks, road edges, and power line rights-of-way with legumes. As we stood looking over the land, I mentioned I was sure quail would return here quickly. My friend was less sure. He asked me “Marc, where are the birds going to come from? There’s none nearby to repopulate the area. 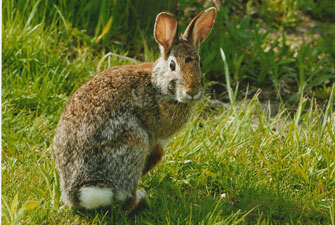 We need to bring some quail in.” I made a bet with him … if quail did not show up this spring I’d bring in some quail. Quail move more than many people think. I have mentioned in posts before they are ”hardwired” to move and that it is a genetic mechanism that has helped them survive at low densities for many decades. And it also allows their populations to “explode” when conditions are ideal. If you picture a covey of 12 quail on April 1, they soon “disintegrate” with some moving very little, some moving a bit and some moving several miles. Thinking of their “radius of influence,” though, it might span several miles in any direction from their winter range. And this increases the chances that they can “find” new habitats and mates. But, most folks don’t have 900 acres of contiguous habitat. And 50 acres of cut-over within the context of 1,000 acres of more cut-over has a much greater chance of being occupied through time than 50 acres of cut-over isolated from other such areas. So what’s a landowner to do who only owns 100 or 500 acres? Talk to your neighbors. Develop quail cooperatives. Help each other. 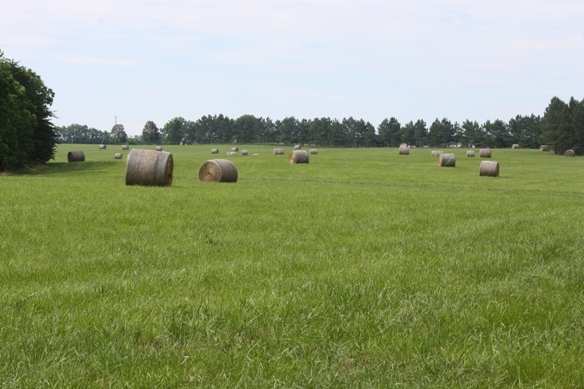 Quail cover can be produced on cut-overs, in fallowed crop fields and power line rights-of-way, around field edges, and in a variety of other ways. And the bottom-feather is, the more acres the merrier. By the way, why translocate wild quail to anyone’s property if quail show up on their own? Very good question and one that is still undergoing research, but the short answer is – it might speed up recovery, inject some new genetics into a population, and keep landowners interested in continued habitat management. It may also help existing quail populations to overcome an unknown threshold preventing their recovery. Another intriguing aspect of quail ecology is “where do they disappear to in winter?” Many landowners and quail hunters enjoy hearing a good number of quail in summer, only to have a hard time finding these “ghost” quail in winter. Though we do have some older data on winter habitat use by quail in Virginia, we don’t have much from modern times. We have long theorized that the “modern quail” has adapted to survive and those remaining have become harder and harder for hunters and predators to locate. We have observed from some late winter trapping for summer quail studies, that in late winter during the day quail inhabit the thickest tangles of cut-over or creek bottom canebrake they can find. And they leave it only long enough to feed and quickly return. I caught very few quail in places where I was not getting scratched severely by briers and brush when putting the trap in. We have a couple places in mind for a study where we hear good numbers of quail during summer and early fall counts, but where hunters struggle to find a covey or two in winter. We’ll be submitting a request for proposals for a research project to help us find some answers specific to Virginia. In the meantime, go enjoy June – get up early and go listen for some bobwhites. Author’s Preface: I discovered quickly when writing this post that this topic cannot be done much justice in a short article. It is not my intent to imply right or wrong. My main goal is to say the issue is not as simple as some would like it to be and that we ought to refrain from a “one size fits all” approach. I would encourage everyone to delve into the issue more. The book “Invasive Plants: Guide to Identification and the Impacts and Control of Common North American Species” By Dr. Sylvan Kaufman and Wallace Kaufman(2007 – Stackpole Books)would be a good starting point if interested. I had a great uncle who shall remain nameless. He wore an old hat covered with various pins and medals. After a drink or two on a Friday night my Dad tells me he would walk into a West Virginia backwoods bar, throw the hat on the floor and say “I’m going to whip anyone who touches that hat, and anyone who doesn’t grab it is a coward “ … but using more expressive language. He loved a good fight even though he weighed about 140 lbs. drenched. And there’s no better way to start one than to make a declaration, draw a line and dare someone to cross it. Lately, one such line seems to be developing over non-native plants versus natives. On the surface it seems like a simple issue. After all, the first thing a person has to do to get out of a hole is to stop digging…right? So let’s just make a simple statement – use native plants always, no exceptions ever and be done with it. One thing we might quickly notice if we could make non-natives vanish instantly is that there would be no soybeans and cotton or red, white and crimson clover, along with yellow and white sweet clover would be gone from our continent. Not to mention the European honeybee. There is a long list of early naturalists, scientists and even Founding Fathers who contributed. Thomas Jefferson wrote “The greatest service which can be rendered any country is to add a useful plant to its culture” (Randall 1994). The list of invaders is long, but some of the more notable in Virginia include ailanthus, Autumn olive, multi-flora rose, Johnson grass, sericea lespedeza, and phragmites. 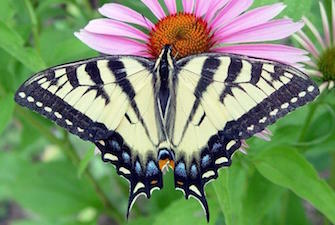 Over 50,000 species of plants have been introduced into North America since the beginning of European settlement. They provide 98% of our crops. 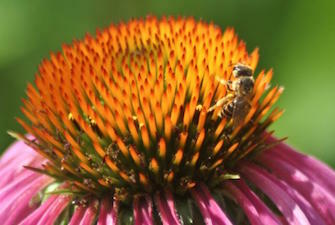 Of the 50,000, about 5,000 have become competitors with over 17,000 native plants (Kaufman and Kaufman, 2007). 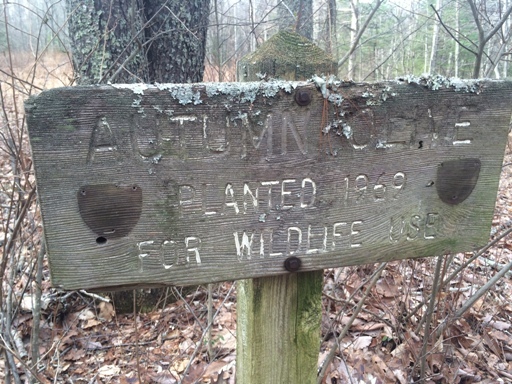 Times change as this USFS sign, designating an autumn olive planting for wildlife back in 1969, suggests. 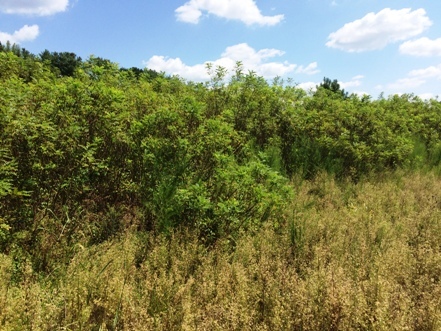 In the case of our Quail Team, we have been criticized for continuing to recommend the planting of the non-native Korean (Lespedeza stipulacea) and Kobe lespedezas (Lespedeza striata). Both are reseeding annuals that typically do not grow above knee high. In the mid-twentieth century hundreds of thousands of acres of these lespedezas were planted across the country primarily for hay. They were often referred to as “the poor man’s alfalfa” being cheaper to establish and maintain. Though I have never personally witnessed it, I am told they can become invasive. While alternative native legume seeds are available, they tend to be astronomically priced compared to Korean and Kobe lespedeza. We often recommend them in conjunction with the native annual partridge peas (Cassia fasiculata and Cassia nictitans). Our goal with all of them is to help provide some quickly establishing legumes to supplement a native seed bank that is often depleted. Are we inadvertently altering an ecosystem? Or is the ecosystem already so altered as to make it hard to identify? One thing I do know is that during the 20 years I have worked for the Department of Game and Inland Fisheries, we have become much more conscious of the issue and much more careful about how we approach plantings. “Think before you plant” is not a bad mantra. 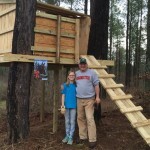 Rather than advocating “Natives only,” the National Bobwhite Conservation Initiative (NBCI) is advocating “Natives First” – meaning when good native options exist choose them first…whether for wildlife, hay or pasture. And further, they advocate that government cost-share programs should not help pay for establishing non-natives. Quoting again from Kaufman and Kaufman 2007, “To see the invasive species issue as a choice between the native environment and alien species, between preservation and human meddling, obscures the real issue. All “native” dominants from ponderosa pine to American bison and the Canada goose were all once invaders. The invasive species issue is real, and environmental pessimists can take a major part of the credit for bringing it onto the public stage. For my part I will continue to recommend Kobe lespedeza — but will point out that it is a non-native — and I’ll continue to battle ailanthus viciously, but I doubt I’ll try to do much about Japanese honeysuckle, … and I’ll continue to watch my bees enjoy white clover. For those of you looking for some alternatives to non-natives here are a few: instead of bi-color or VA-70 lespedeza, try bristly locust or indigo-bush; rather than sericea lespedeza, try partridge pea or round head lespedeza; instead of oriental bittersweet, use coral honeysuckle, trumpet creeper or American bittersweet; rather than Chinese privet, use American holly; instead of multi-flora rose, use hawthorn; instead of Autumn olive, try Chickasaw and American plum; instead of sawtooth oak, try chinquapin, hazelnut, and white, red or other native oaks; and instead of fescue and orchard grass, use purple-top, little bluestem, and deer tongue (Condensed from Tarheel Wildlife, 2010). But before you plant anything, you might try waiting a year or two and just observing what you have in the local seedbank. Kaufman, S.R and W. Kaufman. 2007. Invasive plants: Guide to Identification and the Impacts and Control of Common North American Species. Stackpole Books. Randall, W.S. 1994. Thomas Jefferson: A Life. New York: Harper Collins. Sharpe, T. 2010. Tarheel Wildlife: A Guide for Managing Wildlife on Private Lands in North Carolina. North Carolina Wildlife Resources Commission. My father-in-law, Harry Byrd Elam, Sr., passed away last Thursday night, March 31, 2016. He died in the house he was born in back in 1932. From that you might guess he lived an uneventful life, but a lot happened during those 83-plus years between then and now. Though Mr. Elam was known by his middle name to most who knew him, he was known as “Paw Paw” to his 10 grandkids (one of which belongs to my wife and me). Few people can claim to live in the small community named for their ancestors, but the Elams are from Elam, Virginia, and still own most of what came to them by a 400-acre land grant from King George II in 1745. (We liked to call Paw Paw the “Mayor of Elam” – population about 11). That too is one line that does not tell much of the story. As with many families, time takes a toll, and land gets divided among siblings. If close watch is not kept, acres soon dissolve and wash away like dirt in a heavy rain. Paw Paw moved back to his childhood home to raise his family back in 1970 and set about rebuilding the land base. By the time he died all the original land, and some more, had been secured. Mr. Elam’s father died when he was a teenager, and one might think options for a young man were limited under such circumstances, but Mr. Elam joined the Army, obtained money for school, and came home to attend Hampden-Sydney College. Though a farmer at heart, he loved math and physics. He graduated with a degree from Hampden-Sydney in physics in 1960. Though a man of few words, sometimes he would tell us a story or two. He once described to me working towards his degree in physics. By the time he graduated only two remained in the major – him and one other fellow. He told me “the other guy was a lot smarter than me, I got lost in quantum mechanics.” And, this quiet and unassuming farm boy went on to work toward a Master’s degree in engineering studies from the University of Virginia. Before moving back to his childhood farm, he moved away and began life as an optical engineer. He designed optical systems for periscopes in U.S. Navy submarines and traveled the world over working on them. He also worked for Sperry Rand Space Division at NASA’s Goddard Space station leading design work on orbiting telescopes. But his heart was always back home, and after moving back in 1970 he never left again. He drove an hour and a half each way to Charlottesville every Monday through Friday for over 20 years to continue his career as an engineer. During that time his kids tell me he never missed a ballgame any of the four of them were involved in, always finding time to coach their teams and support his community. As for me, I knew Paw Paw as a gardener, and most of what I came to know about him was shared in the occasional story he told me while I helped the little bit I could around his garden. He planted what I like to refer to as a “depression era, feed-a-family garden.” In short, it tended to be big. Once he told me, “Come by this evening if you have time and help me set out a few tomato plants” – which to him meant 50 or more. Have you ever seen how many tomatoes one plant can produce? Imagine 50 plus. When I first visited my future wife’s family farm, all I saw was fescue, as green and pure a stand as ever grew covered the 100 acres of fields – which was hard to take as a quail biologist. But though I have never been known as the sharpest fillet knife in the drawer, I was at least smart enough to know that in the beginning of a new relationship it was probably not the brightest of ideas to start off criticizing Paw Paw’s fescue fields. As time passed, I learned a lot more about the farm. When Mr. Elam moved back with his wife Joanne (a force in her own right), the farm was in a state of disrepair. The fields where his Dad, a full time farmer, had once grown corn, wheat and tobacco, had grown up into thickets of sumac, sweetgum and blackberry brambles. In his eyes the farm he had always taken great pride in had become unsightly. So he singlehandedly undertook the transformation of those fields back into productive farmland. With nothing more than a chainsaw, tractor and fire he cleaned up those fields and planted them to fescue. But as with much of Paw Paw’s life, there was still more to the story. After he told me that story, I had to stop and think about it for a long while. I still think about it often. It told me a lot about Paw Paw and his love of self –sufficiency. He could have run down to Southern States and bought seed like everyone else. It also taught me a lot about how much pride people take in their land. And it made me rethink my approach to landowners. Yesterday afternoon after Paw Paw was laid to rest, as we gathered with family and friends at my brother-in-law Harry Junior’s home, I found myself sitting on the front porch. As Uncle Emery Wilkerson was leaving he stopped to talk to me. Uncle Emery is 95 now, but he still stands straight as an arrow and looks like he could go bird hunting tomorrow if he wanted to. He is an “old time bird hunter” and every time he sees me, he likes to talk quail. “Marc, I remember hunting up here at Byrd’s back when the farm was grown up. There were quail and woodcock everywhere. We’d park the sedan by the first tobacco barn and hunt all day, maybe cross over onto Buck Phillips’ place, too. We had some shooting in those days.” I just grin knowingly. By-the-way, I never had the heart to try to talk Paw Paw into letting any of the fields grow back up. My wife and I were lucky enough to buy land that borders their family farm and to have shared together the last 13 years living on a farm where three generations still thrive. We are thinning our pines and allowing our own place to produce quail cover. As for Paw Paw’s fields, maybe someday we’ll plant some pollinator cover around the edges. 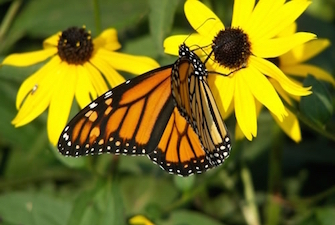 While Paw Paw hated a weed, he would have understood the value of wildflowers to pollinators. I won’t mention any company names or exact locations, but this is a true story, and one that I hope illustrates some of the dilemmas faced by agencies and those of us trying to recover habitats and species. I surely do not have every fact, but here is the gist of it. Back in the late 70s and early 80s a large corporate outfit purchased about 150,000 acres of coastal plain wetlands in the east. This was back before “swamp buster” and provisions of law that prevent the ditching and draining of wetlands today. The company set about clearing, ditching and draining their holdings, which for centuries before their acquisition had been hardwood and pine swampland. It may have been one of the last great areas of such land in the Southeast. The company’s goal was to make this land into productive farm land. I have been told that at one point they had over 100 bulldozers and various large pieces of equipment working full time on the project. But once they got about 5,000 acres into it they realized that such a proposition was a money pit. They subsequently sold the land and, long story short, it eventually came under ownership of the Nature Conservancy and ultimately the U.S. Fish and Wildlife Service. It is now a National Wildlife Refuge. During this process of ditching, draining and filling wetlands, the company managed to create some of the best quail habitat the East has ever seen. You can imagine with thousands of acres of freshly disturbed soil, and long windrows grown up in pokeweed, blackberry and various other quail friendly cover, that this 5,000 acres produced quail hunting rarely seen on such a scale off of certified quail plantations. Of course, this was at the cost of some of the best wood duck, cane brake rattlesnake, and marsh rabbit habitat the world has ever seen. I was fortunate to have done my graduate work on this refuge back in the mid-90s. I talked to some of the old quail hunters who remembered hunting the lands back when the company owned it. They pined for those days and part of my heart went out to them. But I also enjoyed immensely all the varied wildlife I was blessed to encounter in the surrounding swamps and pocosins. As much as I loved quail, I was glad that the entire 150,000 acres had not been converted. It was one of the few places in my life that I felt remained wild, where the sky was still darkened by migrating waterfowl at dusk, where bobcats bawled in the distance and black bears were almost as common as opossums. As managers of public lands, we have to decide how a piece of land is managed. And we have to do this knowing that there are multiple user groups that expect us to manage for their needs. Thus it is an impossible task at times to try to keep everyone happy. 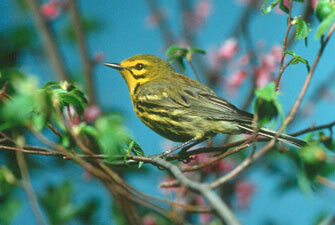 Something we try to do is to manage the land for its best wildlife uses. Not every tract of land is amenable to quail management. And in truth, single species management is rarely the best goal. What we try to do is manage for the ecosystems that are most aligned with the ecosystem that should be present on that land. If we purchase a tract of upland that has a long history of farming and openness, it makes sense to continue early-succession habitat management on it. Likewise, uplands purchased with large stands of loblolly, or other pine types, are readily amenable to thinning, and prescribed burning that is so beneficial to quail and a multitude of other species. But when we purchase lands that historically were highly valuable swamps or wetlands, even if they have had a history of being ditched, drained and farmed, the highest use for that land is to try to convert it back to what it was meant to be. 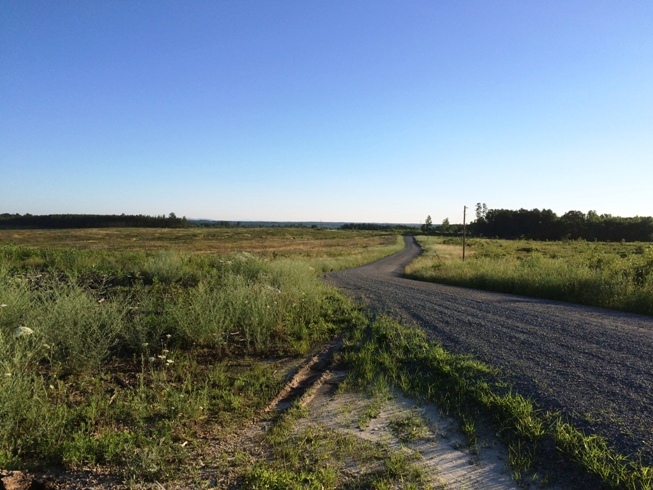 We had a recent case where we bought a tract of land, and just prior to our acquiring it, it had been clear-cut (which in and of itself is not bad) by the owner to glean their income from it before sale. The first few years we owned it, it had a good quail population, but as time passed, we began reclaiming it to wetlands and converting it back to Atlantic White Cedar which is a rare and declining ecosystem. We also managed it for the endangered canebrake rattle snake, and other species needing similar habitats. Those who had hunted quail on it during those first years we owned it were upset by the loss of quail cover. I bring this case up to illustrate that there are many species in decline just like our beloved bobwhite quail. Quite a few of them have populations in far worse shape than quail. Even though we have a quail recovery initiative, that does not imply or justify managing every acre we own for quail. I know our agency and our partners are intensively managing lands for a variety of species. We are often caught in the lag time between acquiring land and getting enough staff to manage those lands. Over time we continue to work to improve our ability to manage lands to their highest uses. I only ask that our constituents know our intent is good, if not always immediately evident, and over time our goal is to do what is best for the land and species meant to inhabit it. While I grew up around farms and bobwhites, I have officially been working with quail since 1992. At that time we were just realizing the order of magnitude of the quail decline. Some predicted that bobwhites would be extirpated through vast portions of their range by now. Like firefighters during a 5-alarm fire tone in the local station house, quail lovers scrambled to action. There has never been a time in history when more was done for bobwhite quail than over the last 20 years. Momentum continues to grow, and there have been large scale successes. Some of the most notable of these are the successes seen in North Florida and South Georgia in what is known as “The Red Hills” and also as the “Thomasville- Tallahassee Region.” The Tall Timbers Research Station and Land Conservancy, along with the Albany Area Quail Project and the respective state agencies and regional research universities, managed to piece together over a half million acres of what has been deemed “purposefully managed” quail lands (note the term “purposeful quail management” was coined several years ago by researchers in Texas and Florida – and I am not exactly sure who brought the phrase to common use so my apologies for not being able to give a citation). The properties in the area tend to be large scale quail plantations under intensive quail management regimes. The landowners involved not only have the desire, but the means to manage on a grand scale. Management here includes supplemental feeding, predator control, relocation of wild quail, heavy timber thinning, widespread use of prescribed fire and adaptive harvest management. These lands now have more quail than at any time in recorded history. Even if a landowner does not have these kinds of means, they should take heart in the fact that it can still be done. And in Texas, Oklahoma and Kansas in areas where vast landscapes still have quail habitat potential, hunters have experienced one of the best seasons in memory this year. New methods of pasture and rangeland management, recognition by landowners of the value of quail cover over immense portions of these states, and dedicated research along with favorable weather (rainfall) has led to this boom. In these areas, some of the resurgence has been due to purposeful quail management and some has been due to favorable circumstances…the most notable being low human population density and a more quail conducive climate. 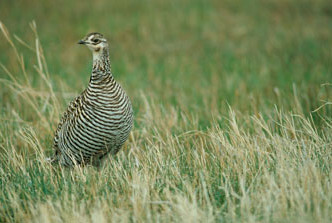 Multiple pockets of smaller scale success can be seen in other states where purposeful quail management is being done. Virginia is not exempt from these. Several hunters have noted to me in the past couple years they are experiencing a resurgence in quail. I know many will disagree, and I am not trying to paint a rose-colored glasses image, but these comments have become more common in recent years. Just last week, in a county where substantial habitat work has been done, one hunter found 9 coveys in a single day, in another county further north, a hunter found 7 coveys in one day. Our team has dozens of examples where, when landowners have done good quail habitat management on a substantial number of acres, bobwhites have returned. Even in areas west of the Blue Ridge and in the Northern Piedmont, we have examples of quail showing up again after substantial habitat projects have been completed. Purposeful quail management works, not in every case, but in many. That’s the good news…now for the bad…there are two fronts in our battle to bring back bobwhites. There is the front where we encourage as many landowners as possible to conduct “purposeful quail management” and then there is the front where we battle to bring back what was termed long ago “by-product quail” – those that occurred on the landscape because things that were being done, or not being done, in agriculture, forestry and land management were accidentally favorable for quail. We keep chipping diligently away on the purposeful front and I think we are making some progress, but an enormous marketing / outreach campaign is needed to truly reach the masses about the value of thickets, weeds, wildflowers, and native grasses. But on the by-product battle front…demand continues to increase for agricultural and forestry products, while acres on which to produce those products declines. This can only mean one thing, to meet human needs these activities must increase in intensity. The future to the wide-scale recovery of bobwhites and many other species using similar habitats is to try to find cracks in the way things are being done where some wedges of gains can be made for these animals, which include pollinating insects. The battle throughout human history has been one between short term gains versus long term losses. Many times we seem not to have a choice between meeting our immediate needs and thinking ahead 50, 100 or more years. I am not complaining or pointing fingers at anyone for this – it is part of our human existence. What to do? 1) Keep encouraging purposeful quail management on as many acres as possible; these areas will serve as source populations through time. And document and promote successes in every possible outlet 2) continue to look for ways to incorporate gains for wildlife into agricultural and forestry systems to bring back some by-product quail, and encourage those things via innovative incentives programs. 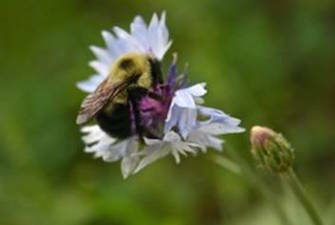 Hope continues to thrive: we are seeing renewed interest in the use and promotion of prescribed fire, an increase in the appreciation of the habitats created by timber harvest and management, and widespread recognition of the value of pollinator habitats. Future solutions lie in working side-by-side with forestry and agriculture industry professionals to find common ground. A back and forth would ensue and I’d say, “No, Virginia, near Blacksburg.” To which the response most often was “Blacksburg, where the heck (more dramatic words generally used by Army personnel not suitable for this blog) is that? To which I’d reply, “in Southwest Virginia.” And on and on. To say we were not well known is an understatement along the lines of saying this year’s election atmosphere is slightly abnormal. 1) Make good use of the off-season: Recruitment is everything in football, and if you don’t win the recruiting battles, you won’t win much else. Application to quail management: Recruitment of baby quail is the key to annual population recovery. If you don’t have lots of first and second year weedy fields, you won’t recruit many new quail, and you won’t find many come fall. For those of you who don’t have a team in the big game next Monday night, the off-season is now until about mid-March. And you recruit quail by conducting prescribed fire or rotational disking between now and then. 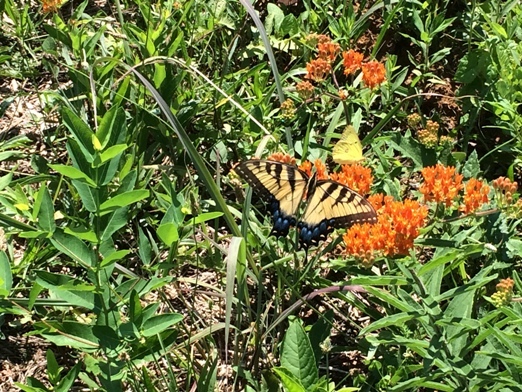 About 1/3 of your habitat should be in first or second year disturbed areas consisting of ragweed, beggar-weed, partridge pea and a few clumps of native grasses – what we call brood-rearing cover (which doubles as winter feeding cover). If you don’t find some bare dirt under a canopy of weeds on a substantial portion of your property, your quail management program will be in a downhill slide until you get your recruiting in order. The second part of the recruiting game for quail is nesting cover. Nesting cover is brood-rearing cover with a little more grass – a weedy field that has been allowed to grow a bit longer between burns or diskings. About how much? Well…about 33%, or one-third. Beginning to sound familiar, eh? 2) A great defense is what wins the tough games: Well…what is there to be said here other than by hiring Bud Foster and his defensive genius, the “Lunch Pail Defense” was established as one of the best in college football. Application to quail management: Without good “defensive cover” in the form of thickets, your quail won’t make it through the winter. This is the cover that gets them through the “tough games.” Think of a thicket like that football safety that intercepts a pass when the opposing team is in the red zone. About a third of your cover should consist of thickets of wild plum, indigo bush, sumac, hawthorn, blackberry, green brier, VA-70 or bi-color lespedeza, or some mix of these. Repeatedly, in many different parts of the bobwhite’s range studies show that quail don’t like to be more than 30 – 40 yards from thickets. The thickets don’t have to be huge, 30 by 50 feet is plenty in most cases, but they should be well distributed throughout the property. And quail don’t need “umbrella brush.” They need thickets that have stem density at ground level. Some shrubs tend to grow like an umbrella, with one stem at ground level that does not branch out until several feet above ground. This creates a tunnel at ground level that predators can maneuver through easily. If you ever get a chance, compare a native clump of wild plum to a row or two of planted non-native Autumn Olive and you’ll see what I mean. You’ll have to get down on your hands and knees and get some dirt on your pants to take a look and truly understand this concept. When planting shrubs of any kind for quail, make sure and plant them close together but staggered, and avoid creating “tunnels of death” for bobwhites. 3) Focus on the basics: From time to time there will be a flashy “new” college football program that finds a niche in piling up points and developing a playbook about five chapters too long. You’ll notice them for a while, then they’ll fall off the charts faster than a “one hit wonder” country singer. Flash is useless unless you have the basics down cold. Application to quail management: You will see a lot of fancy seed mixes, new quail stocking techniques guaranteed to work, new brands of larger pen-raised quail (in Colonel Sander’s language – “a family fill-up” for a predator) with the promise of being more “hardy” and other such “snake oil.” It’s OK to try new things. Some supplementation with food plots, or seeding to increase low native plant diversity may be needed, and some use of released quail to supplement and encourage quail hunting is fine, but the backbone of wild quail recovery should be the habitat basics. 4) Don’t overlook things that might at first seem unimportant: Frank Beamer’s brand of football came to be known as “Beamerball” in part because of his focus on special teams, something some programs may overlook at times. He realized that special teams are part of the basics. A blocked punt here, a snubbed kick there, a punt returned for a score…these things win close games. Application to quail management: Be honest with yourself about all aspects of your management program. Have you done your special teams work? 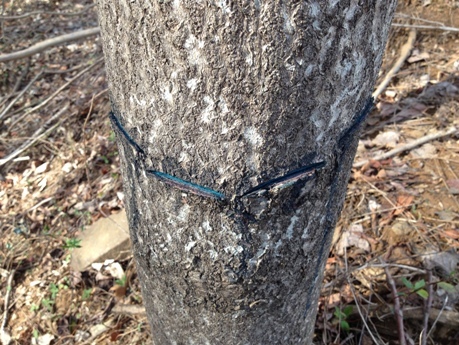 Did you spot spray those thickets where taller trees were beginning to take over? Did you renovate those thickets where fescue was creeping back in? Do you really have enough bare dirt under your field vegetation? Can you really do without that hedgerow out in the field? And for those of us from Southwest Virginia, thanks for saving us a lot time in having to explain that anymore. During Beamer’s tenure at Virginia Tech, putting points on the scoreboard became a full team effort with the offensive, defensive and special teams units. Often when the team scores one or more non-offensive touchdowns, the style of play is described as “Beamerball.” Since Beamer’s first season in 1987, a player at every position on the defensive unit has scored at least one touchdown, and 35 different players have scored touchdowns on Virginia Tech’s special teams.